This project was received from our partner, US based advertising agency – Elite Web Professionals. 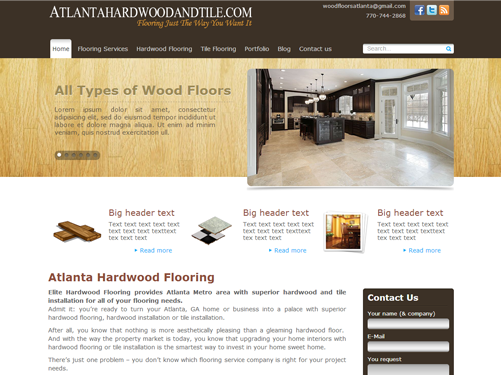 They asked us to create website for company which provides services for all flooring needs, like hardwood and tile installations. Main requirements were to have portfolio of their work, easy and understandable content manageable system. After discussion of to do list we decided to use WordPress as CMS for them, which made administration of website fun and easy. For design we decided to use warm dark brown colors combined with wood texture.